Listen up Rochester! 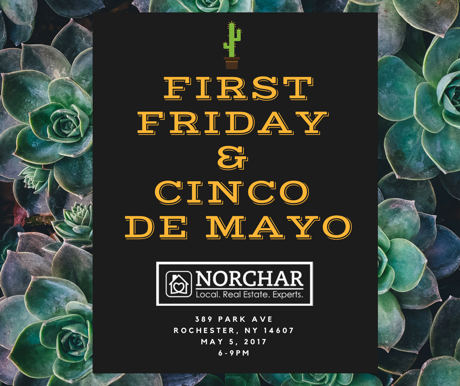 You do not want to miss our First Friday/Cinco de Mayo fiesta on 5/5/17 starting at 6pm! 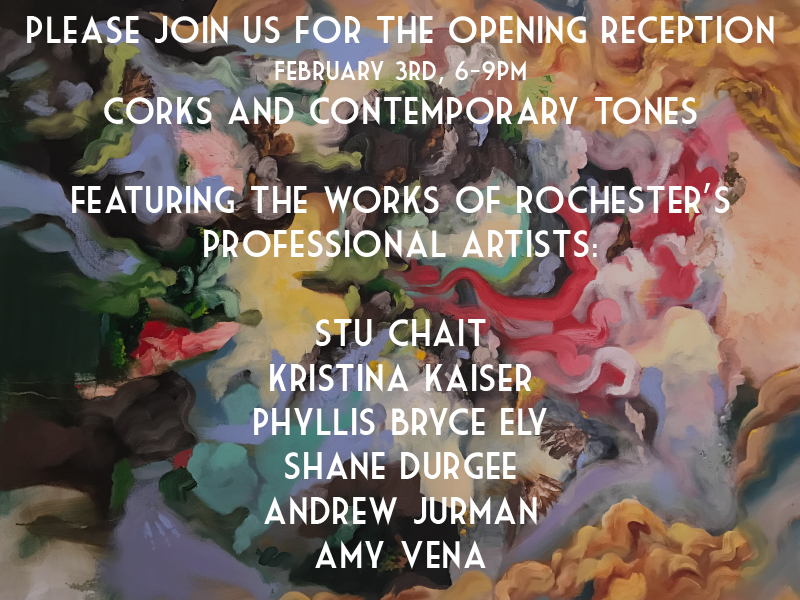 We are featuring the stunning work of local Rochester artists! So come out, support local, & meet some interesting people and your local expert realtors, NORCHAR! Join Us for a Broker Open at 152 Blue Aspen Way in Greece, NY! We have lunch, beverages, and a shuffleboard tournament happening from 12-3pm on Thursday May 4th. Come and check out this gorgeous home! We're bringing back our family favorite Saturday traditions...visiting the Rochester Public Market. It's what we did this particular Saturday when child #1 was at field hockey practice and we had 1.5 hours to kill. So off we went to explore. Now late morning presents a bit of a hunt for a parking spot. On Saturdays, the market is open 5am-3pm and the earlier you get there, the better the parking. Every time we go seems to be peek hours, so patience is required to find a parking spot. After a couple turns around the lot, we were able to sneak into a spot vacated by another marker goer! High Five! Finding a spot took longer than we liked so we knew we had to hustle...outside stalls first! Now once you start down the outside stalls, you are gloriously greeted with beautiful stocked stands of fruit, veggies, meats, seafood, cheeses, eggs, plants, and animals! Yes, animals...chickens, roosters, bunnies, and goats to be exact. Whatever you're looking for...you've come to the right place. 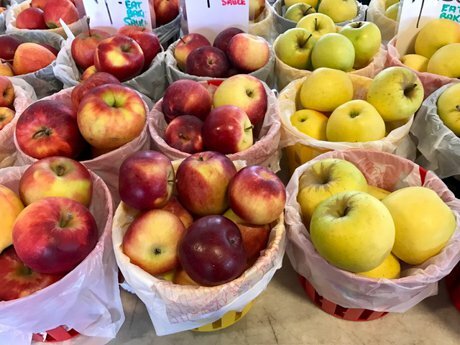 Rochester's Public Market is a true feast for the senses and it's meant to be savored and enjoyed. Not for us, we were on a tight timeline because of child #1. It was a challenge that we gladly accepted. SuperMarket Sweep style shopping ensued! We found some great deals on veggies and fruits...score! 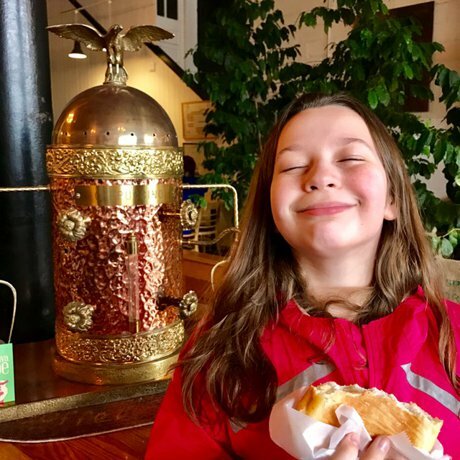 Buying sweets & coffee is a MUST for any visit to the Rochester Public Market. We like to try something different each time we go. We haven't been disappointed with anything ever. The coffee shops are wonderful. Boulder Coffee at the Market, Java's, or if you find a separate stand serving coffee. Child #2 thrilled with her sweet goodie and the fact she's playing only child. Both of those experiences would easily bring this smile to fruition! Unfortunately for us...1.5 hours went by too fast and we had to hightail it outta there to pick up child #1. But never fear, this glorious day not only occurs on Saturdays, but Tuesdays & Thursdays 6am -1pm year round. We love visiting the market and easily see us keeping this tradition going as long as we can! Found art....who is Kelly? 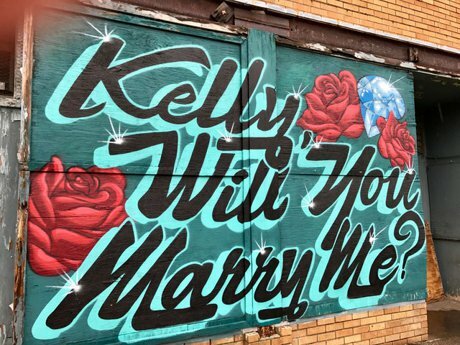 Was she surprised & did she say yes??? Rochester NY Real Estate is Hot!!!! 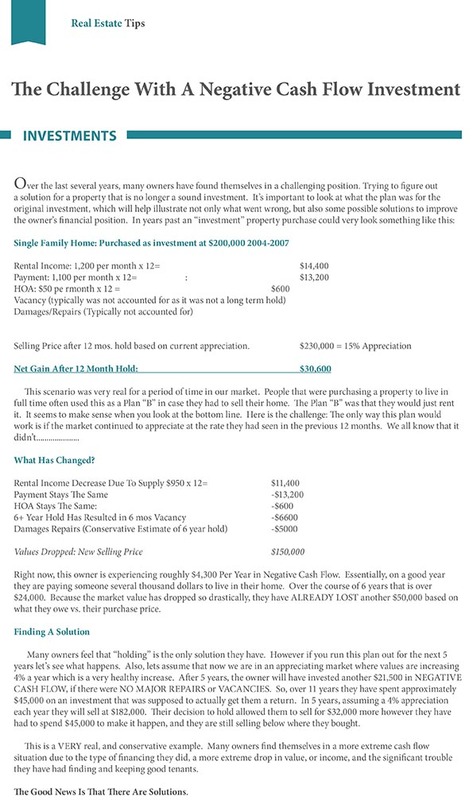 Looking to Buy a Home in Monroe County? 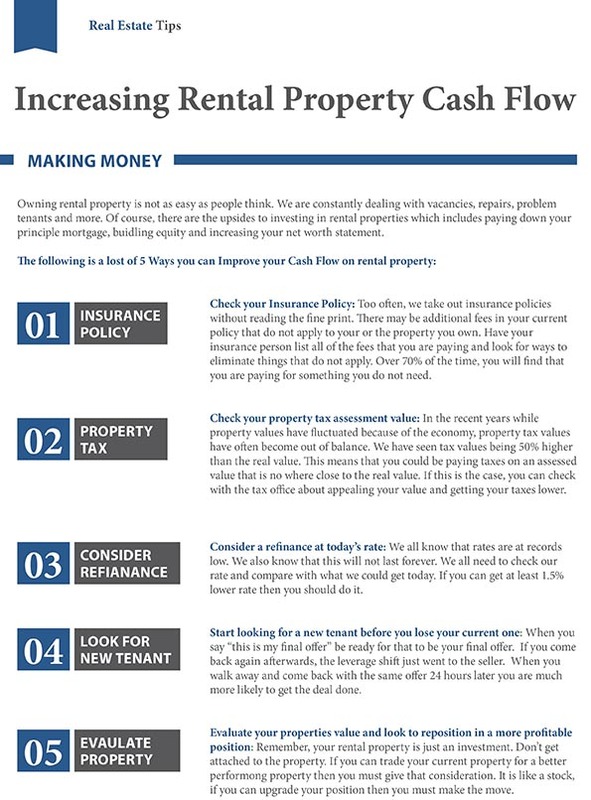 Looking to buy a home in Monroe County? You've come to the right place! 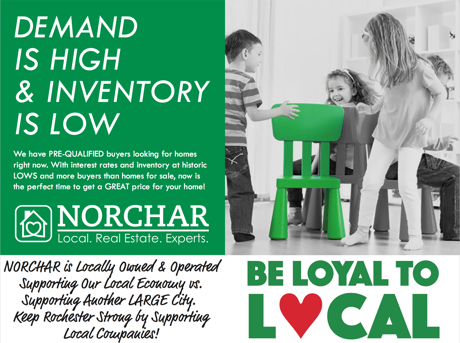 NORCHAR.com features every home for sale in the Greater Rochester Area. NORCHAR has one of the most modern and user friendly home search features of any real estate website serving home buyers in the Rochester Area. We show you 30% more homes for sale than portals like Zillow and Trulia. Find a Home the Easy Way! To search all Rochester area homes (including Brighton, Pittsford, Penfield, Fairport, Perinton, Webster, Henrietta, Irondequoit, Greece, Spencerport, Mendon, East Rochester, Honeoye Falls, Rush, Gates, Chili, Scottsville, Wheatland, Churchville, Riga, Ogden, Parma, Hilton, Brockport & Sweden), simply use the main "Quick Search" menu at the top to search all MLS listings, not only in Rochester, but every listing in the MLS. Also check out our easy to use "Advanced Search" tool to search homes in your school district (Example: Homes with Pittsford Schools or Brighton Schools) or search for homes on a map. Whether you're just starting your home search online, or need immediate assistance with the purchase or sale of a home, feel free to contact us at your convenience. 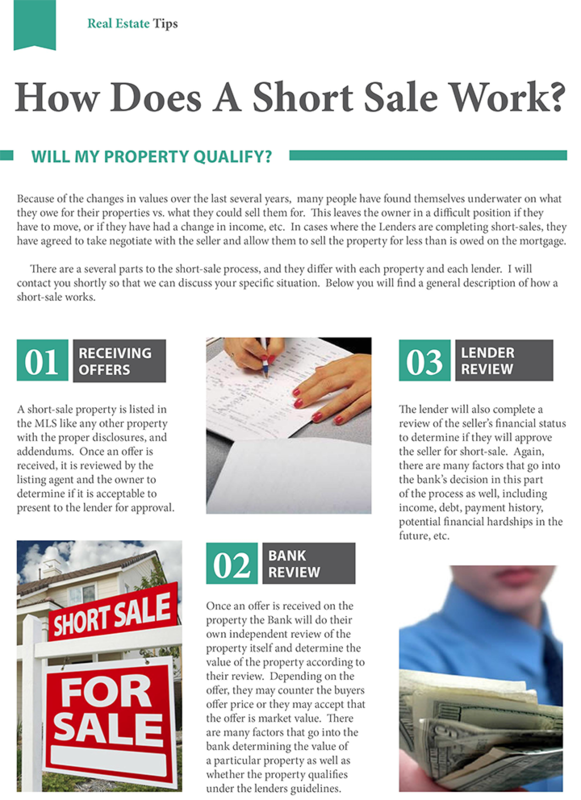 Many of the best homes are SOLD within the first week they come on the market. National portals can take up to a week to upload new home listings to their websites and often months go by before sold listings are removed. NORCHAR.com updates every 15 Minutes with new listings. Our home buyers see the newest listings first allowing them a better chance at finding their dream home before it's sold. I am very happy to share with you that NORCHAR Real Estate has already raised $2,257 in donations for the athletes of 2017 Special Olympics of New York. Special Olympics New York has over 67,000 athletes training and competing year-round in 22 Olympics-style sports. Our athletes and their families or caregivers are NEVER CHARGED to participate! It costs $500 to support training and competition for one athlete for one sports season. NORCHAR has already raised enough to sponsor (4.5) athletes for an entire season! You can come and watch as a spectator and cheer us on! · What: Polar Plunge – Beach Entry Polar Plunge, you can get your ankles wet or go in all the way… It’s your choice. · Why: It’s all for a good cause… Fundraiser for the Rochester Special Olympics + It’s also a great team building event. · Cost: There is a minimum donation of $60 required to plunge, for this fee you also get an awesome hoodie. 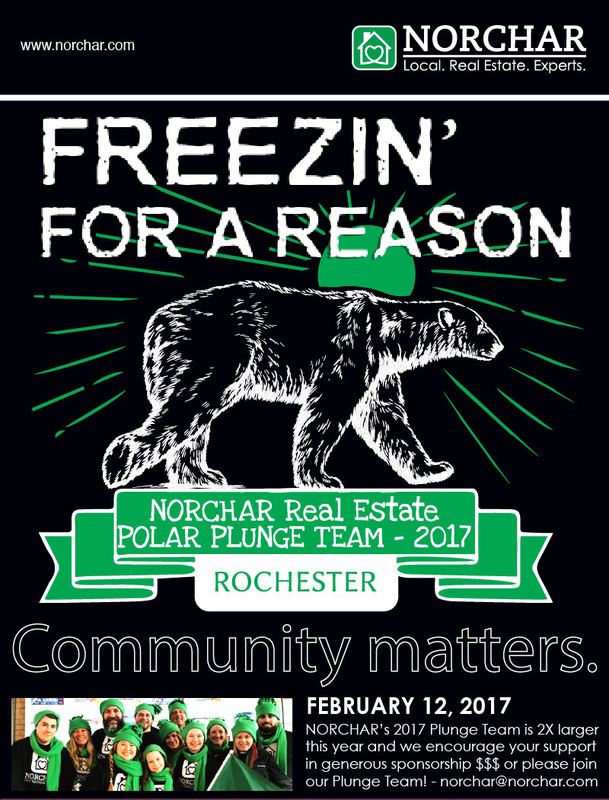 o If you sign up and sponsor yourself for $30 by 2/11/17 @ 7PM NORCHAR will match your $30 Donation so that you can plunge. So Sign Up! · Who: NORCHAR Agents & Employees, Friends, Family, & Clients (that's You). NORCHAR is also happy to match donations on the schedule above for all listed above, so what are you waiting for? o Create an event login, or use one of your social media platforms to sign up ***Make Sure it says “You are joining team NORCHAR Real Estate” at the top of this page. o ****Under Donation be sure to enter at minimum one of the amounts above i.e. if you are doing it today enter $30; If you enter more NORCHAR will still donate $30 towards your name. o Enter your billing information, you can pay with PayPal or with your credit card… you’ve got this! o After you are all setup, you can login to your plunge page an invite your friends and family to sponsor you and start raising some additional funds for a great cause. · Attire: This years Attire is epic... Please wear all Black. Most wear a long sleeve Under Armor t-shirt and black sports shorts, or yoga pants… **Anyone who breaks this rule will be forced to wear the “Greenman” suit… for those of you who are not familiar with “It’s Always Sunny in Philadelphia”, I promise you'll wish you wore black. LOL! NORCHAR will provide the team uniforms… this year we will have Special Limited Edition NORCHAR 2017 Polar Plunge tees and green plaid kilts so we all look part of the clan. The tees are complimentary and yours to keep after the event. We do ask that you return the green kilt so we can use the kilts again at other events. We will collect the kilts after the event. We did our best to collect sizes for 30 tees, but they will be distributed first come, first serve. Each artist is vastly different in medium and approach but collectively investigate the realms of human relationships, existence, mortality and spirit. An exhibition not to bee missed-- by the areas top contemporary artists! Stop by 383 or 389 Park Ave. to see great art, share a glass of wine and visit with local experts in home, and decor.